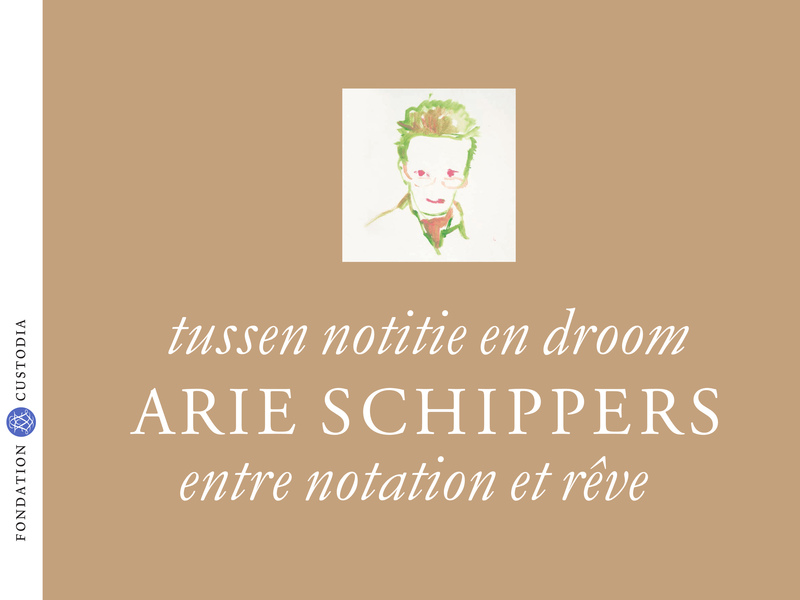 Arie Schippers (1952) is without doubt one of the most gifted and versatile Dutch artists of recent decades. Trained at the Rijksakademie in Amsterdam, he won the Prix de Rome in 1977 with a series of paintings of figures in cafés and restaurants. Since then — amongst many other things — he has made a set of sculpted ‘imaginary portraits’, a large group of figure paintings from his imagination and plein air paintings of the Netherlands around the turn of this century, with service stations, furniture malls and cars that are parked in landscapes like women’s shoes kicked off and lying on the floor. What many other artists might think was enough for an entire oeuvre keeps Schippers busy for a couple of years. As a consequence his body of work is made up of many oeuvres — each of them substantial. He is one of the Netherlands’ best artists, but not one of the best known. Perhaps this is because he is a loner, who has neither gallery nor agent and shows no interest in prevailing fashions. Or perhaps it is because he does so many different things it’s impossible to get a grip on him. You cannot get what he makes at a glance, his work demands many glances. It is a rich, yet complex oeuvre. It is not easy to convey an image of Arie Schippers. Nonetheless this winter we are going to try, in the Hôtel Lévis-Mirepoix. 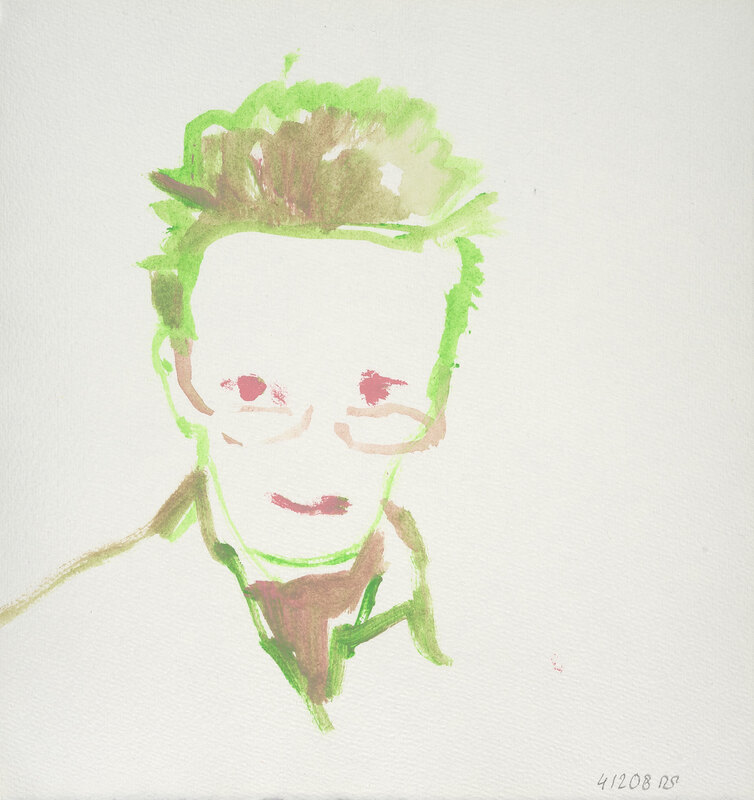 Our entry into the oeuvre is his work on paper — because he has always drawn, regardless of what else he did. Schippers’s sketchbooks are displayed in showcases in all the rooms as the backbone to the exhibition. Since his time at the academy he has filled more than a hundred of them and they offer an insight into his mind. On page after page observations are noted, compositions tried out and characters developed. Time after time, as Paul Klee famously put it, he takes his pencil out for a walk. What lies close together in origin, fans out far beyond the sketchbooks. In the seven rooms we show how drawing functions for Arie Schippers. Little sketches of the modern landscape become independent line drawings and, when the subject has been sufficiently explored by drawing it, Schippers takes it further in oils. Painted and sculpted portraits are prepared in drawings. Decorative line drawings of paradisiacal animals anticipate the ‘fables’ that Schippers made in the 1990s, first in watercolours and then as paintings on paper. All the sides, all the wavelengths of his work are shown in their context with the drawings. The drawings are the linking factor. They reveal, for example, that the — literally — fabulous compositions also provided material for later sculptures, and that in some respects they were the overtures to the large figure paintings that Schippers made in the early 2000s. His inspiration for these figure works came from Goya’s tapestry designs, Velázquez’s Las Meninas and Gainsborough’s portraits-in-the-landscape. ‘I didn’t want to copy those painters literally,’ he says, ‘but to paraphrase them. I wanted to feel in my own hands the problems that faced them.’ So Schippers knows his classics, he is very conscious of the long tradition he works in. This is even clear from his drawing style, which can be Ingres-like sharp and linear, sketchy like the Impressionists or elegantly stylized like Matisse or Picasso. And yet a true Schippers always emerges. A good artist can be influenced by others as much as he wants — the result is always something specific to him. Schippers can make convincing realities of his own because he has looked at reality so often and so intently. With imagined people who look like real individuals, precisely captured children playing and hanging around, beasts of prey that stalk their victims with lifelike stealth. Everything and everyone in these fantasy compositions stands firm, moves easily, has presence. Looking at them is like dreaming: you know they are all illusions, but you would swear that it was real. Fiction and reality are inextricably linked. These days Arie Schippers delights in telling us about the richness of the two and their interrelationship, as many great artists before him also affirmed—from Velázquez to Picasso and from Goltzius to Van Gogh. In our eyes his drawings deserve the same attention.